Whether you are building a whole new warehouse or keeping your old one in top shape, proper dock and doors save you time and money. Our on-site repair team is on call to fix any dock or door problem in your warehouse. Ready to upgrade? Let our experts design, procure, and install the right docks & doors for you. Proper warehouse equipment not only makes your operation more efficient, it makes your business a safer place to work. Call us today at 636-486-1693 to learn more. The ThermoMark 5150 and 5200 doors combine strength, insulation and aesthetic appeal for those applications that require all three features. Made of hot-dipped galvanized steel, they are designed with a woodgrain finish in either a raised panel or flush profile in a variety of colors. Foamed-in-place polyurethane insulation helps keep energy costs to heat or cool the building a minimum, offering year round comfort while also helping to provide quieter door operation. Popular in a wide variety of commercial and industrial applications, the ThermoMark 5150/5200 offers a strong combination of characteristics, including strength, rigidity, longer life and energy efficiency at a highly competitive price. A designed-in joint seal also helps save energy by preventing air filtration. Optional factory glazed windows and aluminum full view panels, combined with two standard finishes (white and brown), can help ensure that the ThermoMark 5150/5200 meets your aesthetic requirements as well. 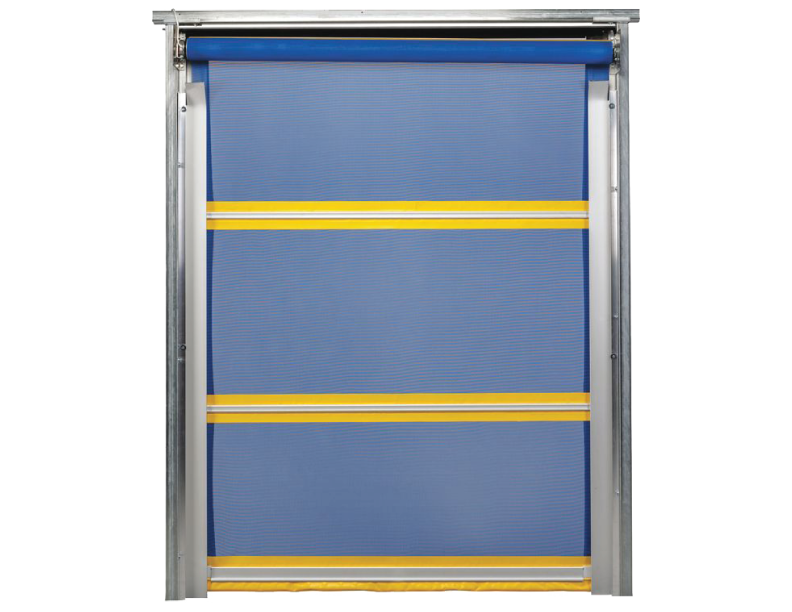 Rolling Doors have a long history of excellence in the design and construction of doors that have met and often exceeded the needs and expectations of even the most critical projects. With numerous innovations created and experience acquired over the years, Wayne-Dalton continues to lead all other manufacturers with both standard and custom-made doors from a variety of materials and colors to meet almost any need. So whether it’s enormous Titan rolling doors, protective FireStar rolling steel fire doors, ventilated Secur-Vent doors, or secure Accordian-Folding Grilles, you can feel confident that with Wayne-Dalton’s many years of knowledge and experience, you will get the best possible solution for your building application needs.